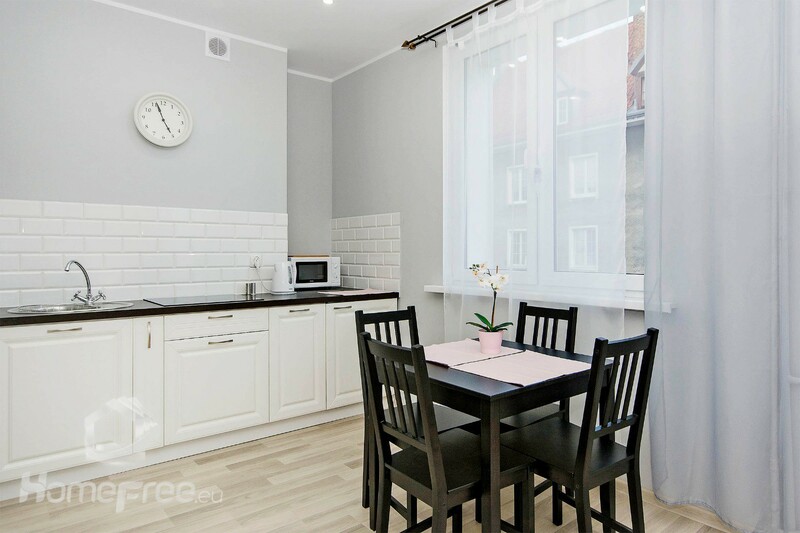 Modest but luxury White Studio Apartment is situated in the centre of Gdansk, in the opposite of the historic Market Hall. 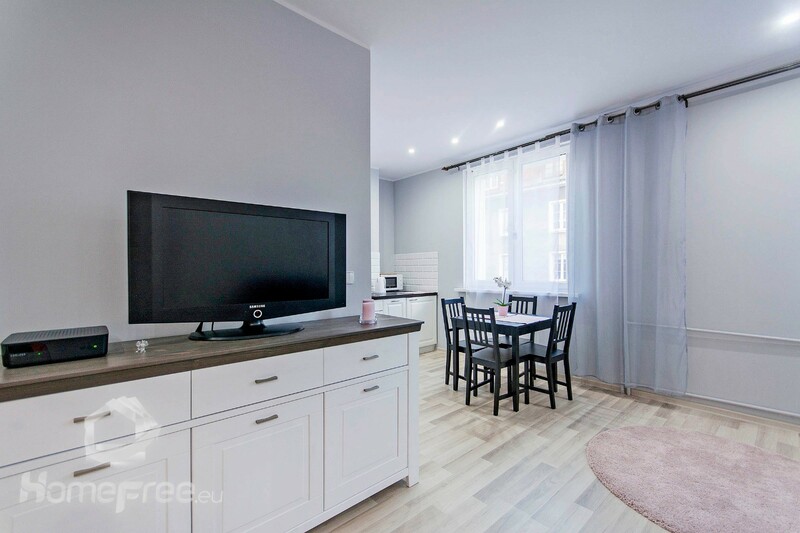 Thanks to its perfect location you can reach every all-important point of the city in a very short time, so it doesn’t really matter if you arrived at Tricity for recreation or for business – you’ll be leaving Gdansk happy for sure! 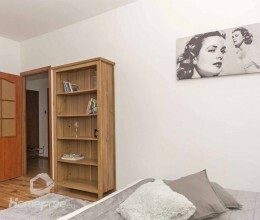 The White Studio Apartment is intended to accommodate up to four people and consists of the bathroom with a shower, spacious living room with the kitchen annexe and detached sleeping space with a big double bed. 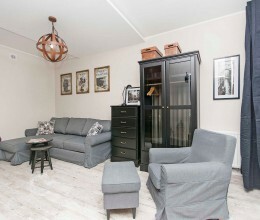 The living room is equipped with a large sofa bed and satellite TV, guests are also welcome to use facilities such as free Wi-Fi, bed linen, and towels. 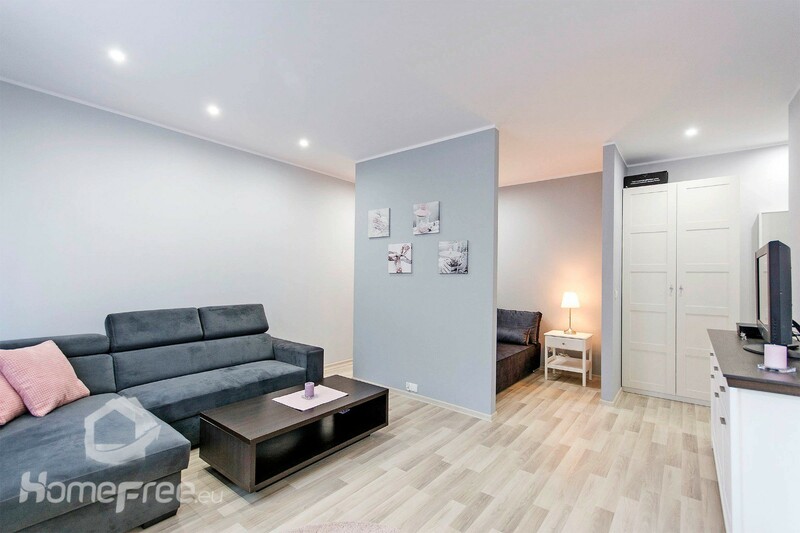 The huge asset of the White Studio Apartment is its fantastic location. 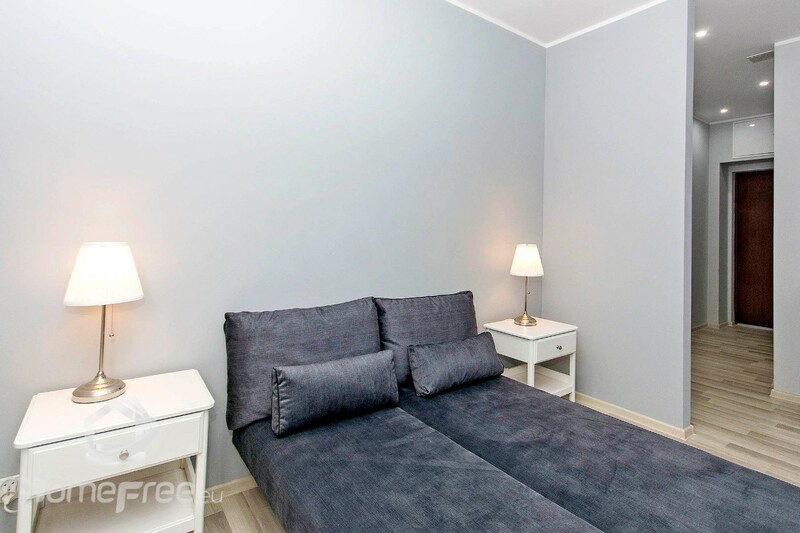 Less than 10 minutes walking distance separates us from Dluga Street and Motlawa River. 500 meters from the apartment, there’s the Madison shopping mall and not much further: public transportation node. In about 15 minutes you can get to the beaches in Brzezno or Stogi and business centres in Wrzeszcz and Oliwa, as well to Sopot and Gdynia (in about half an hour). Free parking spaces right in front of the apartment house are an additional advantage. PAY ATTENTION: the price depends on the number of guests. 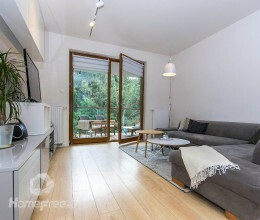 Please, check the price list on www.qualityapartments.eu! 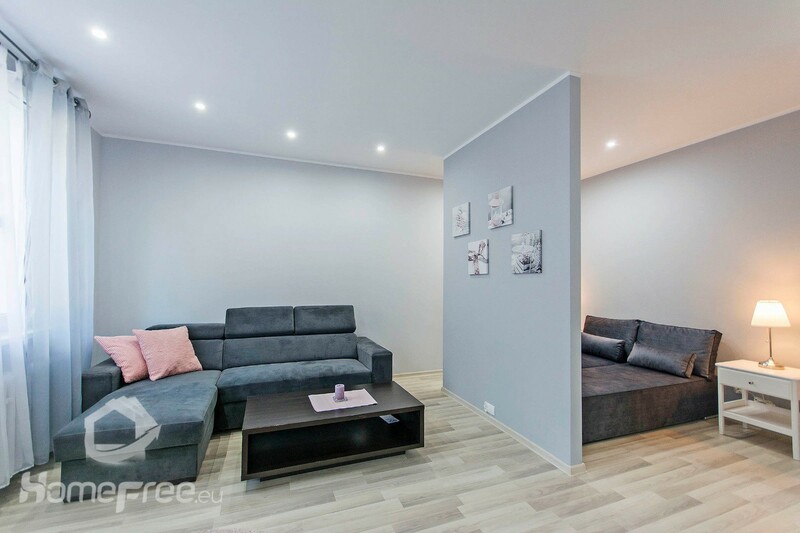 In order to book the apartment, please, contact us vis phone or e-mail, or book the place on: https://booki.ng/2MQFmzc. 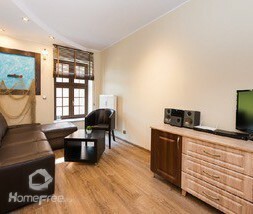 We invite you to check full Quality Apartments offer on www.qualityapartments.eu!